Baskets are objects that can always come in handy in a home. We can therefore devise particularly many different applications for which baskets can be used. What about, for example, the collection of the magazines that would otherwise simply be scattered around the house? Or maybe you just want to store all sorts of fun stuff that makes your house look even nicer? Everything is possible. The design baskets that are part of the offer here at Nordic New are not only very practical, they can also be brought into the house at an attractive price and are of such high quality that you will undoubtedly enjoy it for a long time. Also order design baskets? Then do not look any further and order them today from the Nordic New! The range of design baskets here at Nordic New offers many different possibilities. 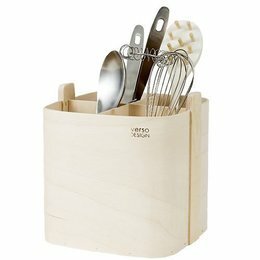 For example, there are the Muuto Restore baskets that are available in different shapes, but you can also opt for the Verso Design Lastu Leather Handles basket. 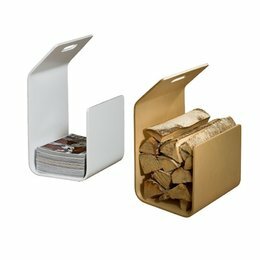 Are you looking for a real design option to store your magazines more neatly or, for example, to stack the wood? Even then we have a design article with Artek Kanto that will meet your expectations without any problems, or the Vitra toolbox. 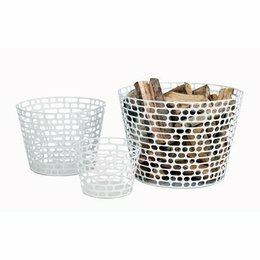 Which design basket you would like to purchase in other words, it all belongs to the possibilities here at Nordic New! Baskets should of course be practical in the first instance. There is more, however. 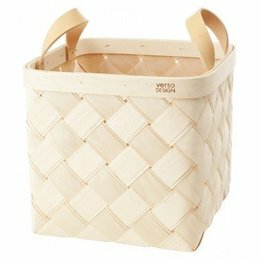 It is not only important that the basket you have purchased is practical, but it must also be sustainable. After all, it goes without saying that you will not stand up to having to spend money again within a short period of time for new design baskets, on the contrary. That is not necessary. When you purchase one of the baskets from our range, you will always notice that they have such a quality that you will be able to use them for a very long time! Have you made a selection from our range of design baskets and would you like to order one or perhaps more copies? That's no problem. Here at Nordic New as a customer you can always count on a very interesting price and our design baskets also stand out as far as quality is concerned. In this way they do not lose their appearance quickly and you will be able to enjoy them for a very long time. Which of our various design baskets you also purchase, the delivery within both the Netherlands and Belgium is free from € 50.